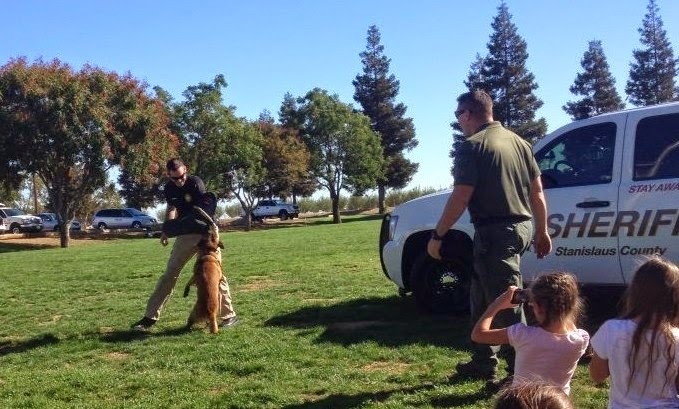 This week, my MOMS Club held their annual Emergency Services Appreciation Picnic for the local law enforcement, fire departments, and ambulance company. Its always a fun afternoon!! The kids love seeing the trucks and equipment used, and the Emergency Service people seem to enjoy sharing their afternoon with us. This year, our fabulous Membership VP asked for donations from local businesses to raffle off (free tickets with attendance) for the Emergency Services members. Wow! Did our hometown and area businesses come through! Generous donations allowed us to raffle off gift certificates for lunches, dinners, golf, a photo shoot, movie tickets and baskets of goodies! We also received donations of food and drinks to serve at the picnic! It was awesome!! 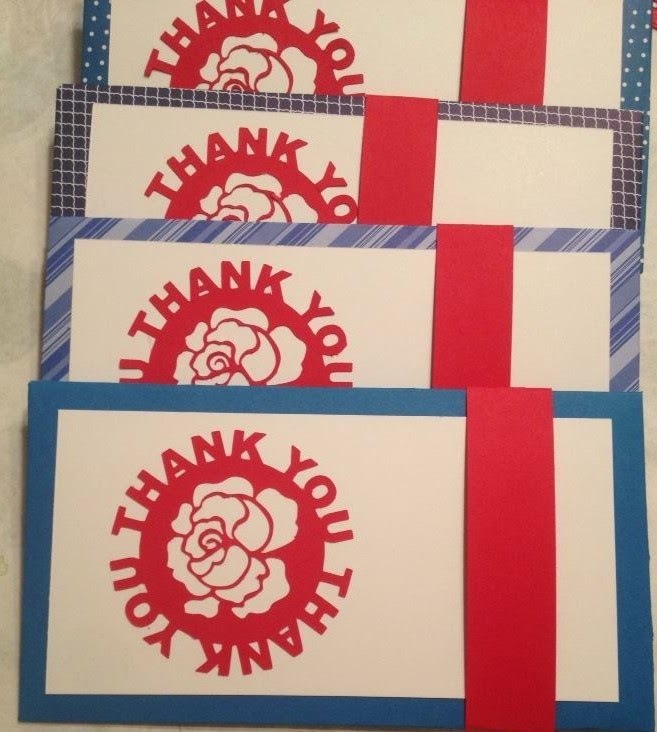 I made some certificate holders with the Envelope Punch Board, as we got gift cards and gift certificates in various sizes, but we wanted them to be easy to hand out. I had started to cut and prep for them...when I remembered that our theme colors were Red White and Blue. Dangit!! So I changed it up and made these red white and blue ones to use. Silhouette Cut Thank You, Various Blue cardstock and DSP, Real Red Accents. And that is how you get today's project!! I had some Mossy Meadow and Pear Pizazz envelopes trimmed out - gotta love the Envelope Punch Board which can create envelopes in up to 63 different sizes!! Woot! 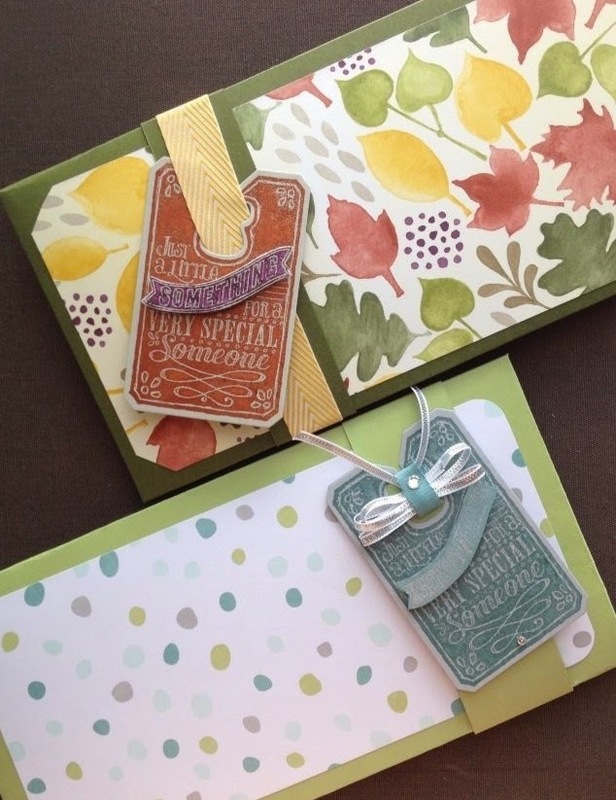 For these two samples I used the Color Me Autumn and the All Is Calm Designer Series Paper sets. I used the Chalk Talk stamp set to match the color combo, and just die cut the tags with the coordinating Chalk Talk Framelits. I like these, and will probably make more, as they are super easy! Pretty handy for those 8x11" or odd size certificates. 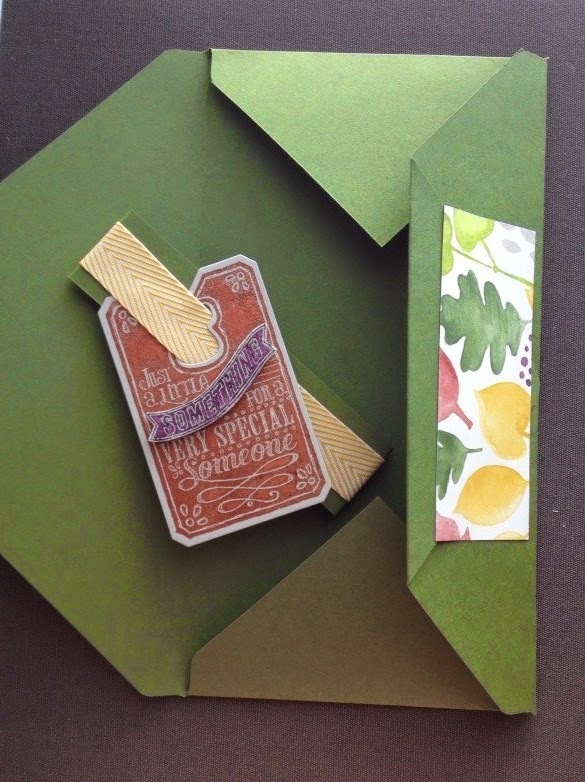 Maybe for a Thanksgiving hostess gift, certificate for dinner where she Doesn't have to cook? ;-) A letter and a gift card? Tickets to a game or play? 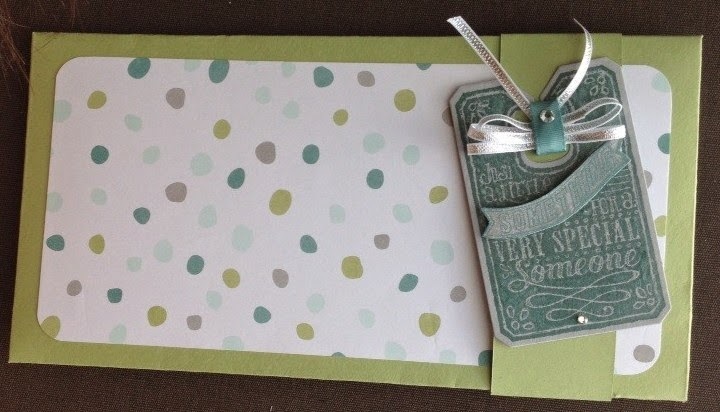 Custom wedding or birthday invitations, invites that you want to use a certain theme paper for... Use up that scrapbook paper making envelopes for Happy Mail, or gift card holders? There's no end to the uses for these envelopes! I LOVE the Envelope Punch Board! Trust me - USEFUL. And versatile - boxes, bows, clever little projects out there on the Internet... addictive! Enjoy your weekend! Wishing you some Cre8time!! 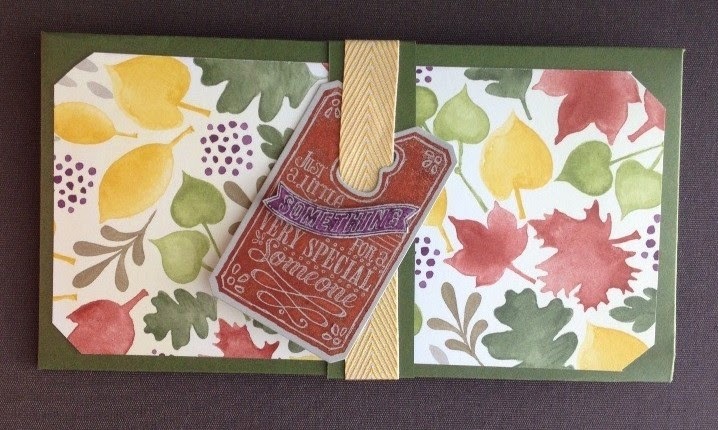 The AWESOME Envelope Punch board is only $19.95 in my Stampin' Up! online store, Shop Now at www.MidnightCrafter.StampinUp.net or click the bold link above.